I have many years' experience gained within the NHS, private practice and a number of third sector organisations. I provide caring and effective professional counselling at reasonable rates to individual adults and young people. 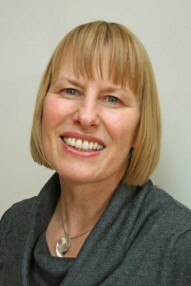 I am skilled in long term and time-limited therapy and have helped many people successfully deal with a wide range of issues including anxiety, stress, depression, bereavement and loss, separation and divorce, feeling overwhelmed, anger, low self-esteem, relationship difficulties, health concerns, childhood abuse, work related issues, sexuality, bullying, family issues, low self-confidence and trauma. The decision to have counselling can be quite daunting. I think it is important to provide a safe environment where it is possible to develop an open, honest and supportive relationship so that clients feel valued and free to examine issues at their own pace and to their own agenda. If you feel I may be able to help you or if you would like more information please don't hesitate to contact me in the strictest confidence and without any obligation.